Cape Town based solar micro-leasing marketplace Sun Exchange has partnered with US-based rural mini-grid solutions provider Powerhive to use the crypto-economy to fund energy access for 175 000 people in rural Kenya. The partnership, which Sun Exchange announced in a statement yesterday (18 June), is expected to raise $23-million, which will fund 150 new projects that will provide clean power to 175 000 people in Kenya who are currently living without electricity. As part of the new partnership Powerhive becomes the exclusive recipient of proceeds designated for solar project pre-financing from sales of the Sun Exchange SUNEX digital rewards token. Powerhive will in-turn use the funds to build solar-powered rural electrification mini-grid projects, which include revenue and livelihood enhancing programs throughout sub-saharan Africa. In addition, the solar panels that make up these projects will subsequently be offered for sale to Sun Exchange members, who will then be able to own cells within the projects and earn decades of “solar-powered money” from the electricity the projects produce. In the same statement, Sun Exchange founder and CEO Abraham Cambridge said the partnership emphasises the SUNEX token sale’s opportunity to support a crypto project geared directly towards mitigating global inequality and climate impact. “Together, we are working towards a world where no one is forced to cook with unsafe kerosene or wood-burning stoves, no child has to worry about how they will study after dark, and lack of energy access ceases to propel cycles of poverty,” said Cambridge. 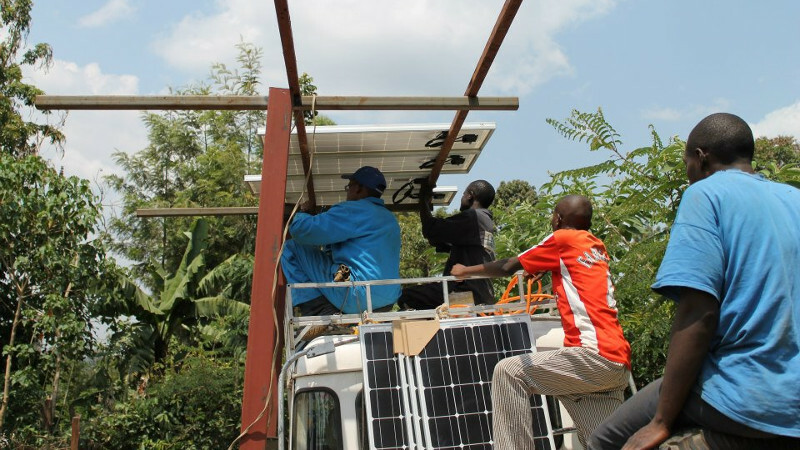 Over the past seven years Powerhive has built a vertically integrated platform that allows the company to identify, construct and operate the high quality and low cost solar-powered mini-grids in Africa. Powerhive founder and CEO Christopher Hornor said partnering with Sun Exchange will enable anyone to invest in innovative low-carbon development projects in Africa and beyond. Sun Exchange has released a mini documentary showcasing the potential impact of the new partnership. Check out the video below.